Download the RNB1000 technical catelog in PDF. 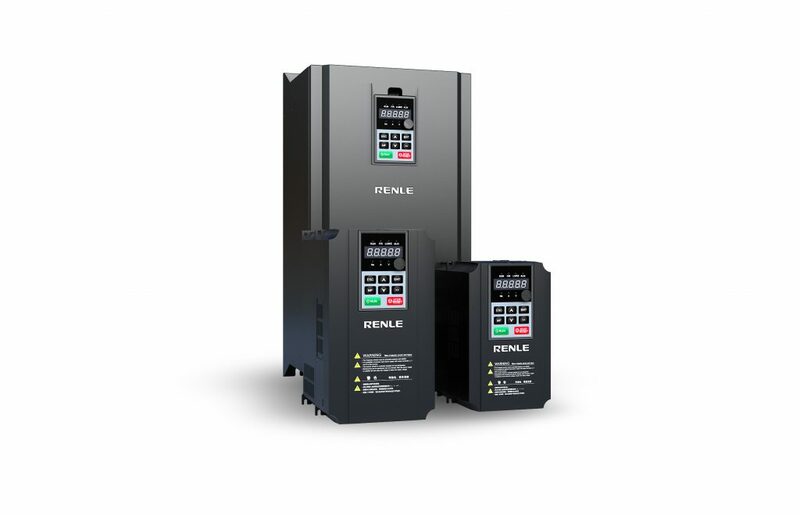 RNB1000 series frequency inverter increases production efficiency for customers with compact structure powerful functions and convenient operation. Under the V/f control mode, the drive will not have over current alarm with high precise current limiting control, no matter how quickly the drive accelerates or decelerates, or stall, it could be reliable protecting the drive; and under vector control mode, the high-precision vector limiting control will output strong vector or gentle vector according to the user’s requirement on the process control, and protect the mechanical equipment steadily and reliably. Under the V/f separation control mode, the output frequency and the output voltage could be set separately, which is applicable for the variable-frequency power supply, torque motor control etc conditions. Exact, reliable speed searching, could start the rotating motor without impact smoothly. Process PID control, with various given and feedback methods, two groups of proportion, integration, differentiation parameters can be switching freely. Especially for fan, pump load energy-saving application. Support the input of DC power resource, which can be easily for users to make a common bus application plan. Over-voltage stall protection: When the load decelerates with great inertia and running quickly, the regenerated energy could result in over-voltage fault. It should be adjusting through the output frequency instantaneously, and then it could reduce the chance of over-voltage tripping, and protect the system running continuously and reliable. Under-voltage adjustment: When the instantaneous under-voltage or temporal outage happen, it could reduce the output frequency automatically, support the constant DC bus bar voltage, and protect the drive running continuously in the short time, which is applicable for fan, centrifugal pump etc. Over-current stall protection function: When the heavy load accelerates with rapid running, the great instantaneous slip could cause over-current fault. It should be adjusting through the output frequency instantaneously, and then it could reduce the chance of over-current tripping, and protect the system running continuously and reliable. Low-frequency fluctuation suppression function: As for the large-power motor, when it starts without load or with light load, it will fluctuate seriously and result in trip error. This function can suppress the low-frequency fluctuation effectively, and protect the system running reliable. Automatic torque rising: Under V/F control mode, it can be adjusting the output torque according to the load condition automatically, which can be suitable for the starting with light load, no load, even over-load.